Grommet, Teal, 54 x 84 is rated 4.0 out of 5 by 1. Rated 4 out of 5 by jackie02 from Decent These aren't bad. They look good and even keep out most of the light reasonably well. That said I still bought blackout panels to put behind these, but then I'm more worried about the solar heat (south facing windows) then I am actual light. My biggest disappointment is actually the color. 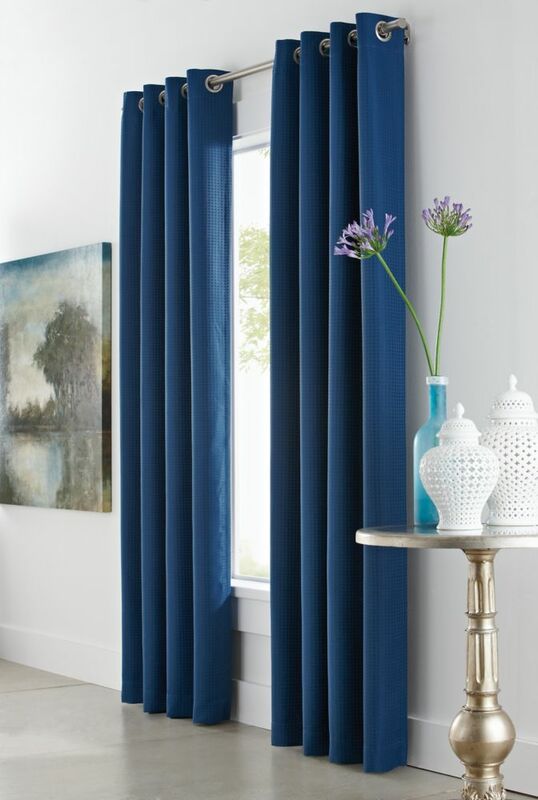 Yes I know these say "teal", and that's what they are... but it's disappointing that Home Depot would put pictures up of a very blue curtain that's not remotely close to this in color. So if you are getting these, be very sure of the color before hand.